Airbnb, the online home-rental service, says it will start collecting hotel taxes in a few American cities. A proposed law to regulate short-term rental sites throughout California has prompted one of the companies, Airbnb, to enlist the help of its users to fight it. The lodging service sent an e-mail on Friday, warning users about its privacy concerns around SB 593, in advance of the Senate voting on the bill sometime this week. The bill sponsored by State Sen. Mike McGuire, D-Healdsburg, would require home-sharing sites to provide local governments information about the properties being booked online. Supporters of the bill say it would help cities and counties enforce local laws and collect lodging taxes, among other things. 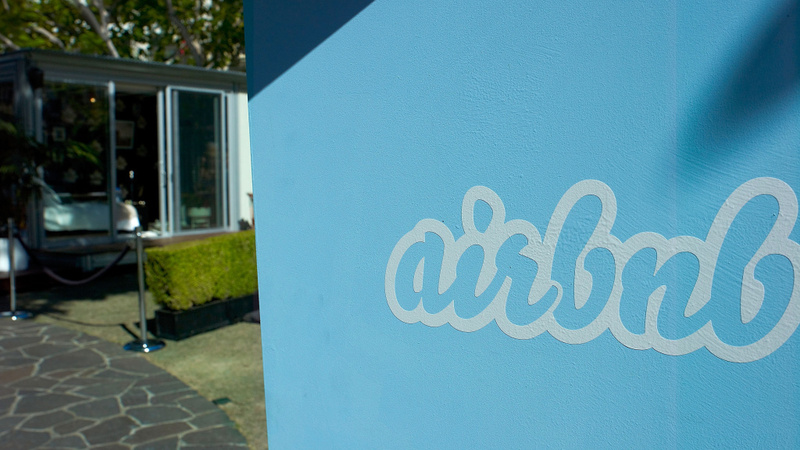 Airbnb said the measure would hurt home-sharing by requiring companies "to share private, sensitive user data with local zoning officials," and urged its members to contact their state senators. But supporters of the bill say the company is being misleading. "I just wish they wouldn’t misinform their users," said West Hollywood Mayor Lindsey Horvath. Horvath, who testified in support of SB 593, said the bill is not asking sites to share personal information about the guests who use sites, like Airbnb, to book stays. Rather, the bill would require the sites to share the addresses of properties posted on the sites, the number of nights the property is booked, and the amount that is charged per night. She said Airbnb hosts are already supposed to provide this information on their tax forms. The bill would make data collection that much easier for cities like hers. "It's basically not making double work for local governments," Horvath said. Local officials complain that the popularity of home-sharing sites has led to thousands of residential units being taken off the rental market, which is depleting cities of much-needed housing for long-term residents. They also say hosts don't always shoulder their share of transient occupancy taxes, which hotels must collect. confidential, personal information to bureaucrats. We look forward to continuing the conversation with the State Legislature, but proposals like SB 593 wrongly disregard consumer privacy. The company did not say how many users it emailed, or who they were targeting. But it was clear not all of the email recipients live in California, and that not everybody appreciated the mass e-mail. But avid Airbnb user Gaby Lasala of Winchester said the email prompted her to click on a link that that auto-generated a letter of protest to her state senator. For good measure, Lasala, an audio engineer, tweeted at U.S. Sen. Dianne Feinstein, who unbeknownst to her, is already a fierce critic of Airbnb. Lasala, 23, said she doesn't make much money yet, and is a fan of the sharing economy to help fellow young people like her make ends meet. She said she wants to see sites such as Airbnb, as well as ride-sharing companies such as Lyft and Uber, continue to expand. "I was pretty upset," Lasala said after reading the Airbnb email. "I feel the entire state is always trying to disrupt any kind of innovative way that millennials can afford (things.)"